By Xah Lee. Date: 2011-11-24 . Last updated: 2016-05-27 . 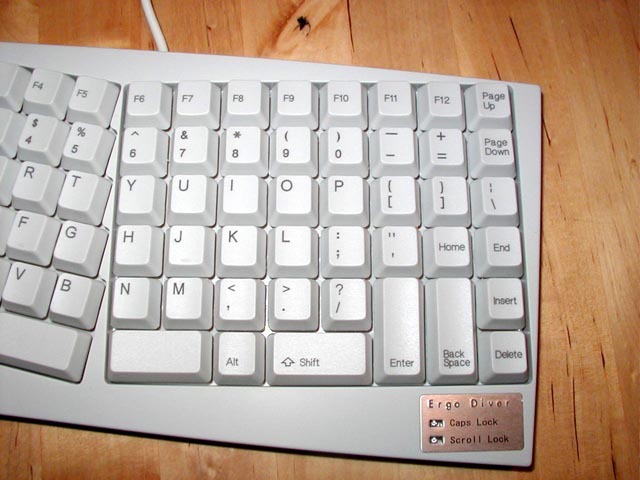 The Scythe keyboard is around since at least 2003, but seems no longer in production. Very interesting new design. Notice that the keys for the right hand is vertically aligned, but the left side is somewhat staggered alignment. The keyboard is not symmetric. 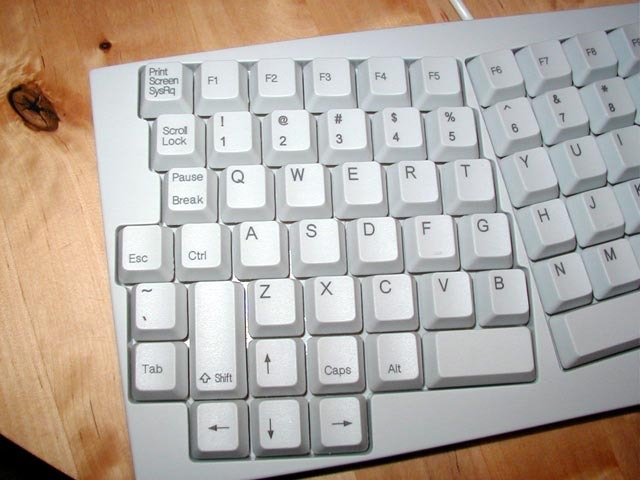 The Shift key have different positions on each side. It doesn't have a Ctrl on the right side. I'm not sure this is a good ergonomic keyboard, but i'm absolutely sure it is better than conventional flat keyboards. 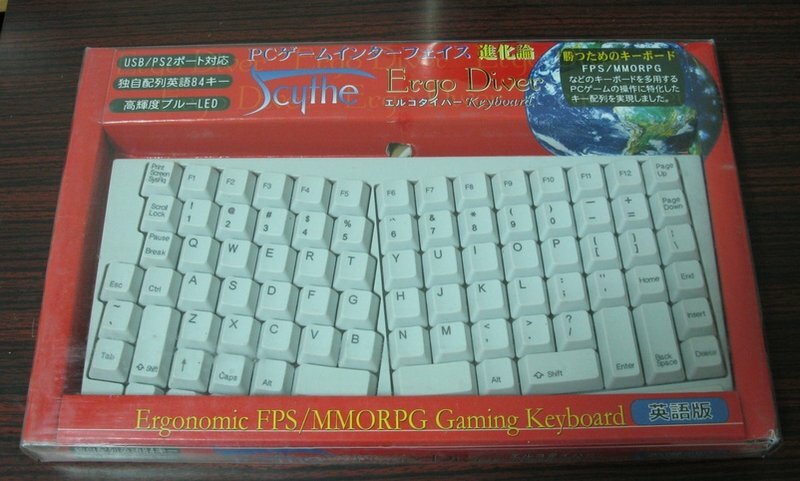 Interestingly, if you look at the box, it bills itself as a “ergonomic FPS (first person shooter)” and “MMORPG (massive multiplayer online role playing game)” gaming keyboard. I think it's a bit crazy marketing. 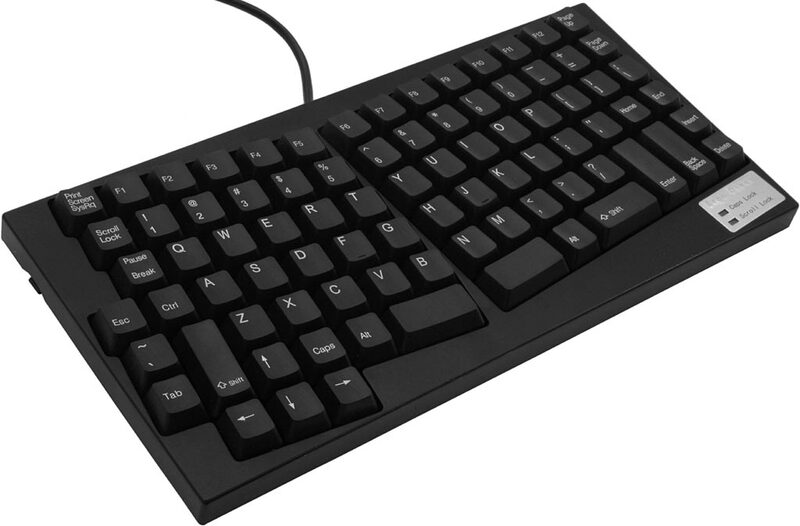 The most important feature of a gaming keyboard is many extra programable keys. This one has none, nor any other features of gaming keyboards such as LCD display, glowing keys, high-tech appearance. 2011-11-24 Thanks to fangzhzh for showing me the Scythe keyboard.